We've just got a nice new batch of Dark Angel rumors in what is supposed to be a two month old playtest copy. Yes, Games Workshop does playtest and yes they do make changes (I'm sure most people say the 36" range Psycannon Grey Knight test leak - complain about Psyfledreads now!). Anyway, currently one of the best Allies out there is Dark Angels thanks to scoring Thunderhammer/Storm Shield Terminators who can take a Cyclone Missile Launcher. Not only are they durable and very scary in combat but they come with good shooting. What's not to love? Their special character is also a decent challenge man and at 130 points + 235 per Deathwing squad (215 base + 20 for CML), you can get three squads + Belial for a paltry 835 points (600 if you don't want the Elite squad). That's pretty damn good and most armies can find a place for 16 TH/SS with CMLs (10 of them scoring). The new rumors indicate this is going to change though. First, Belial jumps up in cost by 40 points to 170. Whether or not this includes new abilities, improved statline or what is to be seen - he was a bargain at 130 points but pushing the limit if he doesn't get anything new at 170 points. The Deathwing squads are still 215 points base but now must pay for TH/SS upgrades (5 points per model) and only a model with a Stormbolter/Powerfist or Chainfist may take a Cyclone Missile Launcher - not a huge nerf thanks to the way wound allocation works in 6th and it offsets the increased price of CMLs at 30 points. So the old squad which cost 235 points now costs 265 points - a 30 point increase which over Belial plus two squads is an extra 100 points (130 for three squads + Belial). We can assume they are still Fearless but other than some potential changes for Belial, that's 100 point increase in what is essentially the same combinations as before. Still worth it? Depending on what Belial gets, more than likely yes. Remember as well, things could change with the playtest packet and there might be a special rule or two we're not sure about (i.e. can the Apoth still be taken?). It looks like Deathwing Assault has been given a change where you can drop all your Terminators in on the first turn - this doesn't override the BYB 50% rule but it should be pretty easy to handle and means you can get get VERY good placement with your Terminators and still shoot in Turn 1. Otherwise it's still a very good scoring block which can shoot, is durable and good in assault and with other Dark Angel changes, other units might be more viable as extra allies around them (i.e. the plasma Predator, Skyfire Whirlwind, cheaper double weapon Dreadnoughts, etc.). We're still not saying go out and buy Terminators to use them as Allies - wait for the codex to drop, but it does seem like they will still be viable as an option. An extra 100 points for the two squads + Belial is an annoyingly large increase and if Belial doesn't get any buffs, some people will find it hard to swallow and it might make it a less obvious choice. The improved Deathwing Assault can offset this as well but I imagine some people will balk at what they feel like is an unnecessary increase. 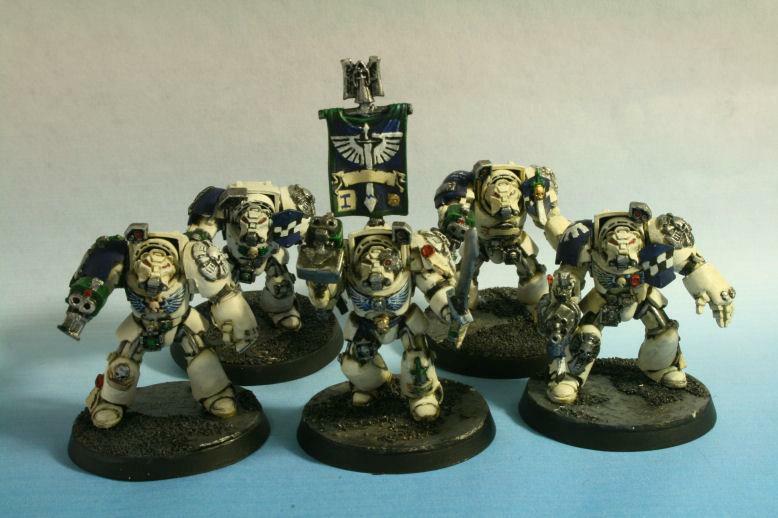 Regardless, if the playtest rumors are anything remotely close to the final product, I still foresee Deathwing as a good allies choice, perhaps even more so with improved Dark Angels units around them.